This CB radio kit was put together to give motor-home owners a quick and simple solution for a CB radio in their RV. There are basically two components for an RV CB system; the radio and the antenna kit. The configuration wizard above will guide you through the selections. You may click on the question mark and details' links for more information on each component, and as always, please contact us with any questions. 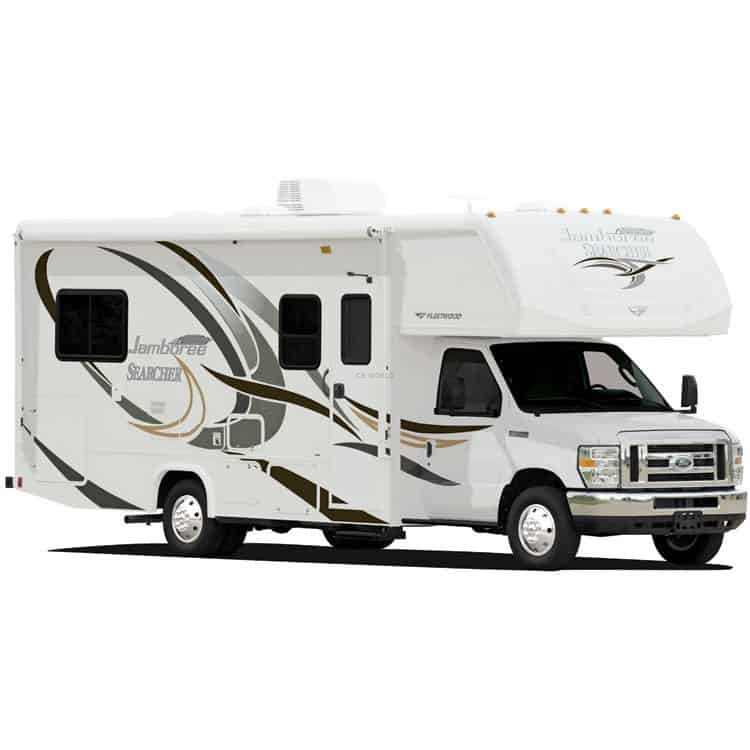 We have several NGP (No Ground Plane) antenna kits designed for use on RVs. We typically recommend Firestik Antennas because their products are made in the USA and they have exceptional customer service. The main points to keep in mind when choosing your antenna kit is where you are mounting the antenna (window, ladder, side, etc.) and how high the top of the antenna can be above the RV considering height restrictions. If you decide to mount the antenna on the side of your RV (which typically would mean that you are drilling holes), we recommend that you check out the motor-home extension bolt kit, the EVEXB. If you are running the CB antenna all the way to the back of the RV and need to extend the coax that comes in the kit, we recommend that you use the PP8XX coax with the KPL258X connector.